If Sibiu is one of the most idyllic cities in Europe, its surroundings are no less charming or impressive. Close to Romania‘s highest mountains and several natural parks, the area around Sibiu is dotted with magnificent scenery that can be discovered on a drive, a hike, or by getting lost in a forest. So we’ve selected for you the best places for a nature getaway in the area. 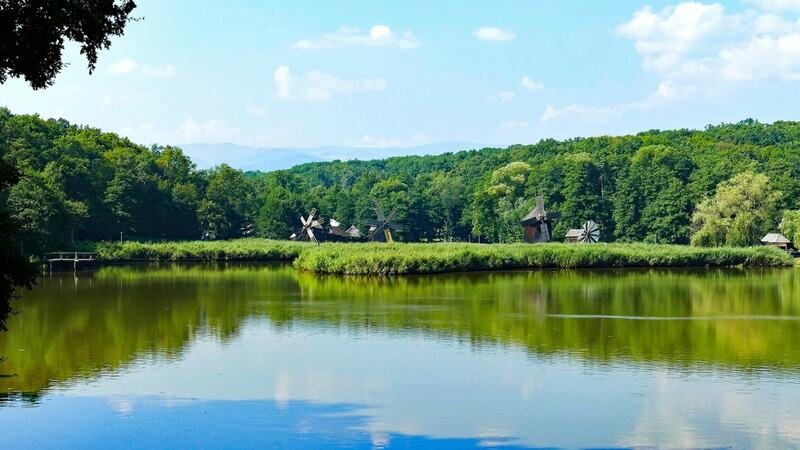 At just five kilometres (three miles) from Sibiu, you can leave the city behind and wander through the second-largest outdoor museum in the world. The ASTRA Museum of Folk Civilisation spreads over 96 hectares of meadows, rivers, lakes and forests. Sprinkled with traditional houses, mills and workshops brought from all over Romania, the museum is a great escape from the city. You can enjoy a boat trip on its lake, ride in a carriage around its pathways, visit the Zoo or just have a picnic with your family or friends. Situated at the top of Transfăgărășan Road, Bâlea Lake and Bâlea Waterfall are the main attractions of the Făgăraș Mountains. The beautiful lake is located at an altitude of 2,034 meters (6,673 ft.) and spreads out over 46 hectares. Bâlea Lake is also a starting point for treks in the Făgăraș Mountains, with peaks situated at a height of more than 2,000 meters (6,561 ft.), following its steep slopes, dramatic valleys, and crevices. 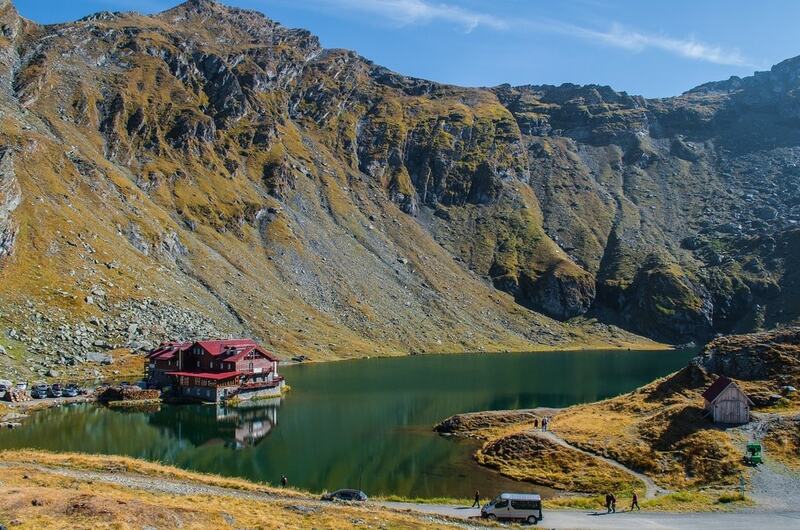 To reach the lake, you can take the astounding Transfăgărășan Road, a 90-kilometer-long (56 miles) path that cuts through the Făgăraș Mountains. However, in winter, you can only reach it by taking the cable car from Bâlea Waterfall. The waterfall is located at 1,234 meters (4,048 ft.), and it’s one of the biggest cascades in the country. Part of a Natural Park, the Cândrel Mountains offer great possibilities for hiking among its pristine forests, deep valleys, and towards its remarkable peaks. Sheltering protected animals like bears, wolves, lynxes, and capercaillie, the Cândrel Mountains are a natural paradise. Yet, they aren’t just home to rich wildlife, but also to grazing cows and sheep. Its large pastures and many streams favored the development of pastoral activities, being today one of the most bucolic areas in the country. To explore their beauty, you can start your journey in the oldest ski resort in the country, Păltiniș, which is both a starting point for hikes and a fantastic option for winter sports lovers in winter. Boasting a rich fauna and flora, Cozia Natural Park shields one of the most beautiful forests in Romania. A UNESCO heritage site, Cozia Forest is a natural shelter for precious fauna and flora. Its beech, oak, and birch trees come together to form a fairytale landscape, one that can be discovered following the path that goes from Turnu Monastery to Cozia Chalet. Other than that, the Cozia Mountain’s impressive massifs and breathtaking valleys invite the traveler to discover them. Among the most popular hikes are the ones reaching Cozia Peak and Lotrisorului Valley. A high protected area and Romania’s smallest national park, Buila-Vântutărița National Park is sprinkled with natural habitats, virgin forests, and endemic species flora like the European beech and the Edelweiss or protected animals like the brown bear and the grey wolf. Nevertheless, you can make your way through the park without harming its natural habitats, by following the marked paths that spread over the park, uncovering its magnificent peaks, picturesque meadows and wonderful gorges. The tallest mountains in the country, the Făgăraș Mountains are also called the “Transylvanian Alps” and boasts awe-inspiring sceneries. The alpine landscapes are perfect whether you want to hike, climb, ice-climb, or mountain-bike. Despite a peak at 2,544 meters high (8,346 ft.), the mountains don’t have tall walls. Still, you will need proper equipment for any activity. You can explore them by taking one day-trips, marching towards Podragu Chalet, Capra Lake, or Negoiu Peak or spend a whole week, hiking the whole ridge. If you like driving through awe-inspiring scenery, then a drive along Transalpina Road can be the perfect getaway for you. 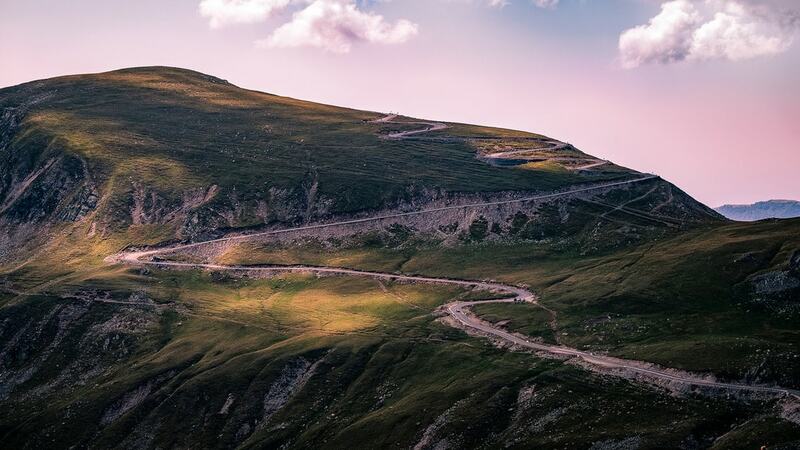 Built under King Carol II, also named the “King Road,” Transalpina is the highest road in the country. Culminating in the Urdele Pass, at an altitude of 2,145 meters (7,037 ft.), Transalpina cuts through the Parâng Mountains, offering fantastic views over the Făgăraș and Parâng mountain ranges. However, make sure you go during the summer, as in winter it is closed. Boasting plenty of natural attractions, Grădiștea Muncelului-Ciclovina Natural Park is located in the Șureanu Mountains, bordered by two picturesque valleys. Extensive forested areas, meadows, and karst areas shaped by small rivers form strikingly beautiful landscapes scattered with caves, gorges, and valleys. Among the area’s landmarks are the Ponorici Cave, the Strei Valley, and the Cheile Crivadiei Natural Reservation, an oasis of protected flora and fauna.